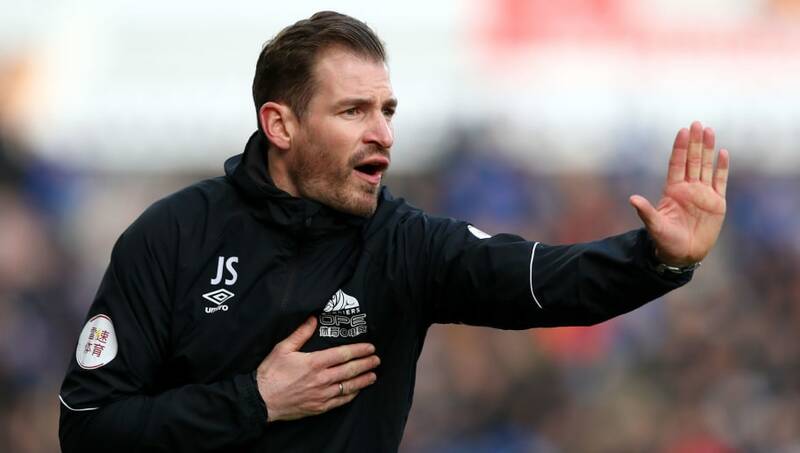 Jan Siewert admitted he 'couldn't defend' the performance of his Huddersfield players as they lost 2-0 to Bournemouth at the John Smith Stadium. The Terriers were on the back foot from the first minute and fell behind thanks to a typical Callum Wilson poacher's effort. Huddersfield struggled to create anything in the final third and the fans were visibly frustrated heading into half time. Coming out for the second half the hosts brought an attacking mindset with them as players pushed forward in search for an equaliser, but their efforts were wasted as ​Bournemouth managed to kill the game off with a second goal through Ryan Fraser to secure a ​2-0 win for the Cherries. Speaking to ​Sky Sports after the game, Siewert admitted that he couldn't defend the performance of his ​Huddersfield players and sympathised with the fans. He said: "I can't defend the performance today. "The performance in the first half was not good, and the performance in the second half was a bit better but it was not good. I feel sorry for the fans who came here today. "This was not my kind of football. Everyone saw my style against Wolverhampton, everyone saw my attitude. I fought for the club, and I have fought for the club since I am here, so the way we played today was unacceptable for me." The loss means Huddersfield remain rock bottom of the ​Premier League table and are now 16 points from safety. It looks like they'll need a miraculous overturn in fortune if they are to survive, and they'll need to start that run when they travel to the London Stadium to face West Ham on Saturday afternoon.